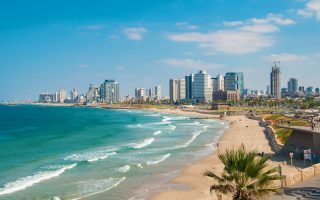 Tel Aviv, Israel is the country’s second largest city and a dynamic, lively, multicultural dynamo. It’s one of the major financial centers of the Middle East, and is also known for its cafes and dynamic nightlife. 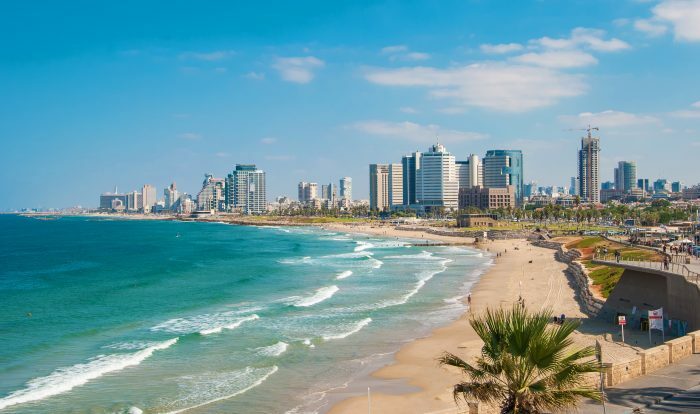 For runners, Tel Aviv’s principal attraction is its location on the Mediterranean. A highlight is the 8km promenade along the beach. Other running highlights include the 8km path along the Yarkon River into Yarkon Park, and the grassy median along famous Boulevard Rothschild. 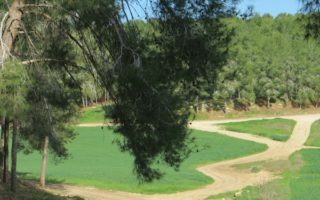 We’ve also included some fun neighborhood and market runs, and some opportunities to get some breathing room in suburban Herzliya and the Ben Shemen Forest. There is a jogging track at Sportek, on Rokach Blvd. 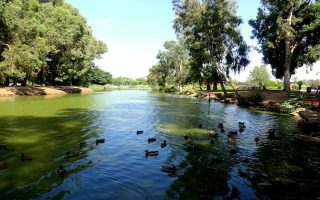 Very pleasant, green paths on both sides of the Yarkon River, which runs from Yarkon Park near Tel Aviv University and Tel Aviv Port, connecting with the path along the sea. A great opportunity to see some of Tel Aviv’s important sites while running 3+ km miles along the median of one of the city’s most famous streets. 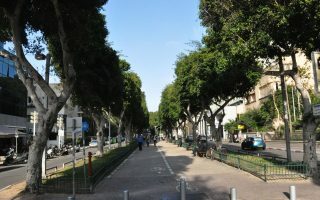 Connects to the Neve Tzedek neighborhood, Jaffa, and sea. 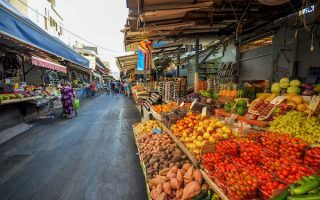 Nice running in the Neve Zedek neighborhood, off Rothschild, using historic Shabazi St. Also, run the winding streets of the Carmel Market and the Kerem -- ONLY when the market is closed! 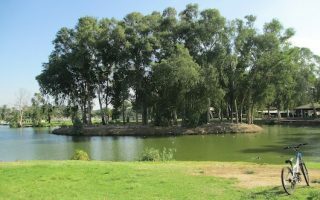 The second largest green space in Tel Aviv after Yakron Park. Pleasant paths, wide lawns, and a pond that make this a nice spot for running. One can put together a ~4 km non-overlapping route here. In the southeastern part of the city. A prosperous residential area in Tel Aviv with nice streets for running. Good connections to a marina and beach promenade. Herzliya Park is a nice green space with a 1km running path. 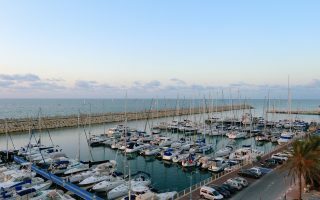 Tel Aviv has a combination Mediterranean and desert climate. Summers are hot and humid, with high temperatures averaging 90F+ (32C), and hardly any rainfall between May and October. Winters can be rainier, with average high temperatures in January around 60F. Nighttime temperatures in winter can be cool, but rarely below freezing. Generally the weather is good all year for running but be aware of the summer hear and humidity. The main independent running store in Tel Aviv is Pro Runner, located near Yarkon Park. Great selection of running clothing. There are also Nike running store and Newton Running. Pro Runner is the main independent running store in Tel Aviv. Great selection of running shoes and clothing. Social events as well. Newton Running. Another great running store in Tel Aviv. In the eastern part of the city, not that centrally located. Tel Aviv Marathon. February. Major event with 40,000 runners. Great course along the water and central Tel Aviv. Tel Aviv Night Run. November. Very popular 10k, attracting 25,000 runners. Natal Color Run. Part of the Color Run series. 5k run with the aim of raising awareness of PTSD as a result of terror and war in Israel.